This study has 10 sessions, incorporating an introductory session and 9 lessons. It is a study of Philippians, Colossians, and Ephesians. The study guide also contains a bonus 3 additional lesson study of 1 & 2 Thessalonians. The Study Set includes a Study Guide by Little Rock Scripture Study Staff and the New Collegeville Bible Commentary, First Thessalonians, Philippians, Second Thessalonians, Colossians, Ephesians, by Vincent M. Smiles (Liturgical Press). Vincent M. Smiles, PhD, is chair of the Department of Theology at the College of Saint Benedict/Saint John's University, Minnesota. He is author of The Gospel and the Law in Galatia, published by Liturgical Press. In these letters of encouragement, correction, and instruction written from prison, Paul lovingly inspires and challenges us to greater discipleship. In Philippians, Paul calls on the community to rejoice even when difficulties and struggles abound in life. Paul offers Jesus himself as the prime model to follow in his humility and obedience. Colossians and Ephesians have a number of striking similarities, including the depiction of the Church as the body of Christ with Christ as the head. Colossians, however, contains a great hymn of praise to Christ as the image of the invisible God, while Ephesians describes the Church as the spotless bride of Christ. 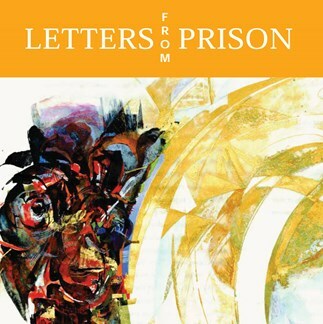 These lectures correspond to the ten sessions outlined in the Study Set for Letters from Prison.